Yellow. 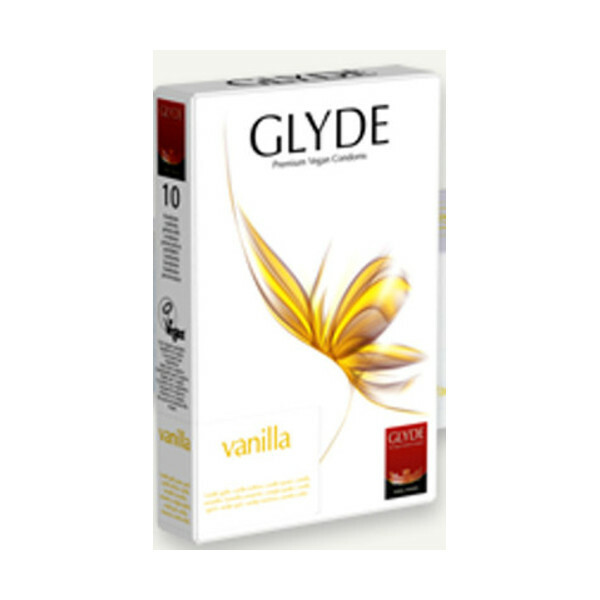 Vanilla Flavour. Natural Rubber latex. 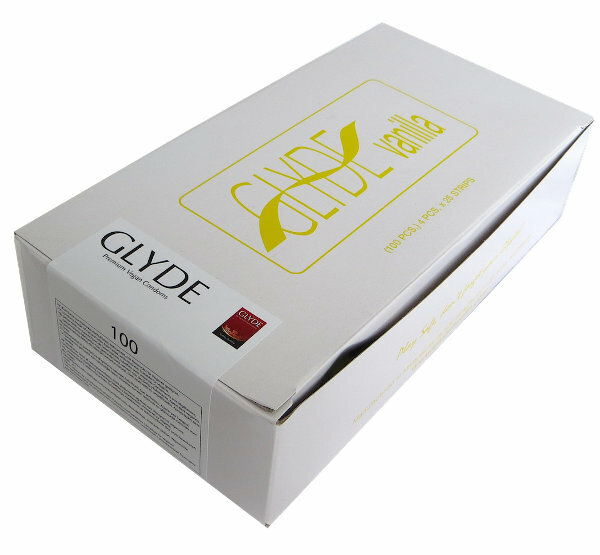 Glyde condoms have no animal ingredients and are approved by the Vegan Society.